Being in athletics, especially at a university level, can add pressure to the lives of athletes. Whether it comes from personal expectations, or those of coaches and fans, pressure can affect both their physical and mental states. Matt Quiring, who has been a forward for the McMaster men’s basketball team for four years, began playing due to his family’s love for the sport. Through basketball, Quiring met many important coaches and players who provided him with opportunities he would not have experienced otherwise. There’s no I in TEAM. Swipe to read @quirng_m story ➡️ #BeyondTheBurridge takes a deeper look into the lives of the team from their own P.O.V. Sefa Otchere, first-year starting guard, also acknowledged the ways in which basketball has positively impacted his life. Both players also commented on the pressures that playing at a university level places on them. Quiring and Otchere have implemented motivational strategies to work through their doubts and create a positive mindset when going into their games. Otchere has a similar approach to handling pressure, starting with not putting expectations on himself. A healthy mindset is also important when coming back from a loss or a tough game. Recently, the Marauders suffered back-to-back tough losses against Brock University and Western University on Jan. 30 and Feb. 2. “It’s always hard coming back from a loss because you have to watch the film and look at your mistakes. Then you have to fix them before the next game,” said Otchere. Otchere also had to prepare for his comeback after his injury earlier in the season. “I felt like I had to get my [groove], and confidence back,” said Ochere. “I also had to do extra practices to physically get back into the game as well. Going into the end of the regular season, the players have applied these techniques as a means for achieving their goals. It is evident that both mental and physical health are important towards the well-being of athletes. 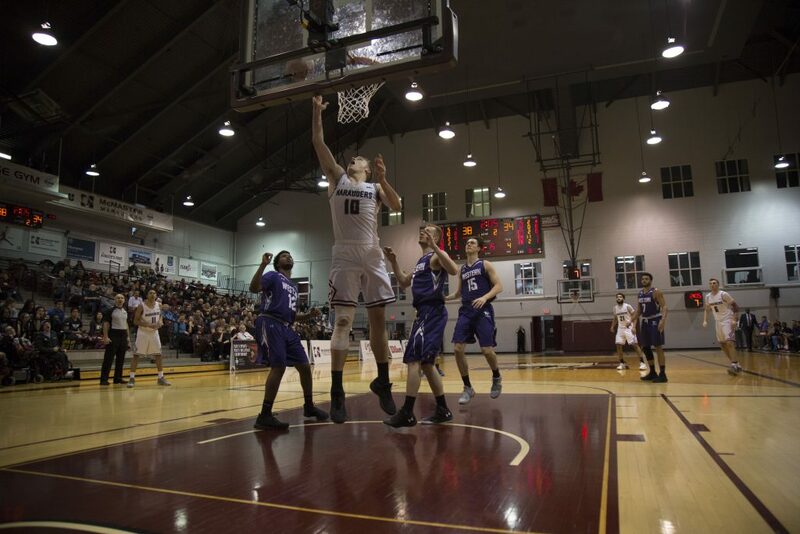 The McMaster men’s basketball team’s perseverance and passion for the game will definitely be reflected in the upcoming games and in their journey towards nationals.